An amazing Domestic Abuse survivor. The Disc-Connected K9’s were a great group of Frisbee-catching dogs but when Lawrence Frederick introduced Easy Rider, I was impressed as much by his caring nature as I was by the dog’s abilities. Easy Rider was a black and white, hairy performer and he was an amazing Domestic Abuse survivor. He came from a home where domestic violence was common. Police had been called to the home multiple times before the dog, and the abuser, were permanently removed. Easy Rider had been thrown against a wall with such force that his hind leg was broken in three places. His crime? Urinating inside the home. Apparently, Easy Rider was so terrified of men that he peed whenever he met one. Due to Easy Rider’s injury, he was not getting interest from adopters at the animal shelter that took him in. So, when all of the other dogs rescued from the home were adopted and Easy Rider was on his last days, the animal shelter contacted Disc-Connected K9s. They were told that he would probably never play Frisbee. They agreed to take him in and he was flown to Jacksonville Florida to start a new life. He received rehabilitative care and training and he doesn’t just play Frisbee now, he is one of the highest ranked Frisbee-catching dogs in the nation. He still has the pins in his leg but his heart has healed. My son even got his picture taken with Easy Rider. 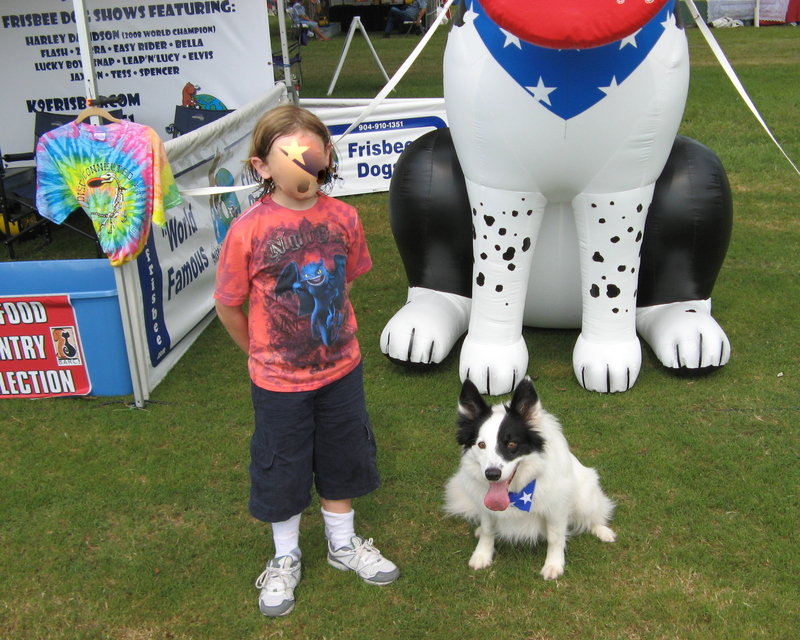 If you want to read more about Disc-Connected K9’s or Easy Rider, visit their website at http://k9frisbee.com/new/index.php .